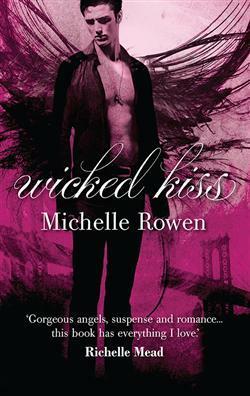 Wicked Kiss is a fitting sequel (and finally) to Dark Kiss. In actual fact, I think I enjoyed this second book even more than the first. Rowen continues to build on the characters from the first book, but also adds in some interesting new characters who help to keep things fresh. The story moved at a good pace and the whole thing was wrapped up nicely by the end. I applaud Rowen for not following the current trend of dragging series out into three books, then into four books... It's meant she has a great story over two good books and has not had to thin the plot out and rely on filler. Definitely read book one in this series first as you need to know what happened then to fully appreciate this one, but I certainly can recommend both books as fun YA reads that will also appeal to adults.